The United Kingdom has too much debt. Reports normally focus on government debt: currently around 80% of national income, unless you take into account (as you should) the debts of the bailed-out banks and their toxic portfolios, which would pretty much double that figure. But what about consumer debt? Mortgage debt? Business debt? The huge slabs of debt incurred by our banking system? The truth is, if you want to know how much the United Kingdom owes, you need to add up everything. And the answer is terrifying. We owe about 500% of GDP. So for every pound you earn in a year, someone, somewhere owes £5. Add it all up and you get to a total just shy of £8 trillion. You don’t have to be a rocket-scientist to figure out that this is a problem. Indeed, you’d have to be living under a stone not to have noticed that our economy has plunged into a depression because of this weight of debt. The banks started it, but we’re all in it together. And it’s not just Britain, it’s Europe too. And the US economy is way more fragile than is sometimes reported. The dictionary definition of a depression is ‘a sustained, long-term downturn in economic activity in one or more economies. It is a more severe downturn than a recession, which is seen by some economists as part of the modern business cycle.’ That’s us. That’s where we are. The Great Depression of the 1930s did not destroy output to the same degree and recovery was faster. This is the worst depression in British economic history. 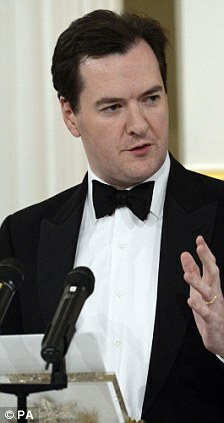 And what is the solution to this crisis, as cooked up between George Osborne and Mervyn King, the Bank of England chief? I love Wimbledon, it's Smashing! Answer: more debt! 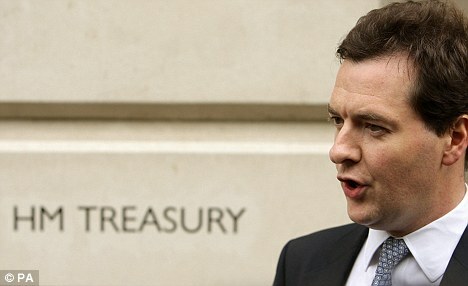 Clearly, these wise souls believe that the whole problem with the British economy is that we don’t have enough debt. So let’s have more. In fact – and how’s this for a plan? – let’s make soft loans at cheap rates to the same klutzy British banks that created this mess in the first place and hope that somehow that sparks off a spiral of investment and innovation. You might as well plan for world peace by selling arms to the Middle East. (Or, come to think of it, making Tony Blair a peace envoy.) It’s the same crazed logic. Fortunately, though, businesses aren’t stupid. The main barrier to investment isn’t the availability of credit; it’s the dire economy. Businesses are, quite rightly, looking at the devastation and lack of governance around them and thinking this might not be the best possible time to launch new ventures or expand old ones. And the solution? Well, there isn’t one short of de-leveraging. The only way to a problem of excessive debt is to have less debt. You can’t achieve that by waving a magic wand, you achieve it by working hard, paying down your loans, and remembering that, next time, you better keep your credit card in your pocket when you pass those nice, inviting stores. But meantime, the plan does reveal something important about the decision-makers in charge of the economy. George Osborne I have some time for: at least he realises he needs to get the government to borrow less; at least he knows that the banks have to be tamed. 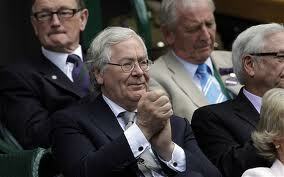 But Mervyn King: what is he for? We are currently paying him to print money and shovel cheap loans at dodgy banks fueling a property bubble of epic proportion. 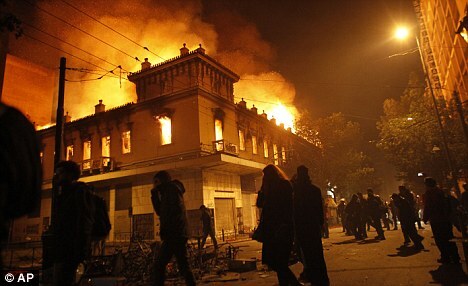 Athens burns: Does this look like the creation of aggregate demand, Mr King? Creating asset bubbles and money printing are terrible policies that King has become addicted to. He’s past his sell by date and has to go. of course we cant borrow our way out of debt, trouble is no one politicians / central bankers will state somthign so simple. the point you make is so valid bond holders need to assess the “risk” they are taking when lending money. I was in Greece last week. When you visit and see actually these guys are in the same ccy as Germany its obvious they are never gonna repay and its never gonna work, as you say just kicking the can down the street a little. When it blows nobody knows, but Bretton Woods teaches us that it will. hail to the unleveraged those that didnt participate in the ponzi, will we be able to strike or will our savings have been too far eroded by then? it all a mess but the hard way is the fastest way. Greece problem is not the austerity measures, Greeces’ problem is the EURO, Germany btw a massivce exporting nation do they want EURO or DEM?